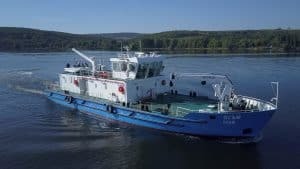 A new marking vessel, built by MTG Dolphin for the Danube river shipping road was delivered today to the shipowner – the Executive Agency for Exploration and Maintenance of the Danube river. The ceremony was held in Rousse. 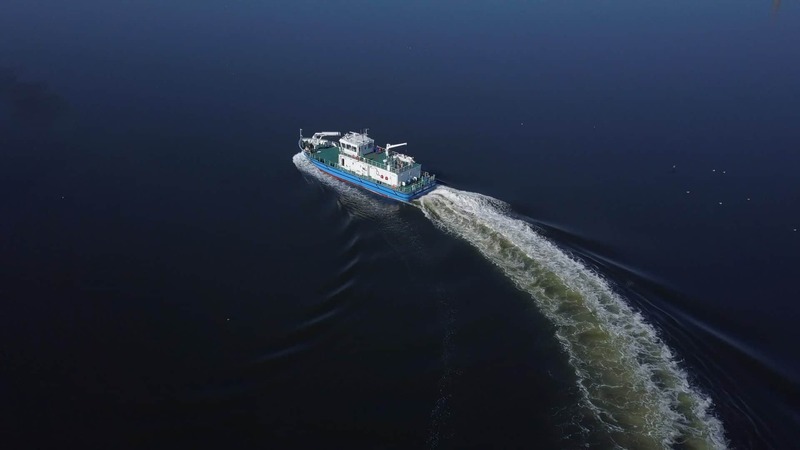 The specialized vessel is part of a FAIRway Danube project, financed under the Connecting Europe Facility. The ship will sail the Danube as “Osam”, following a tradition at the Agency to name their ships after the river’s tributaries. Being part of the Agency’s fleet, the vessel will perform fairway designation to ensure seamless navigation by preventing seams from being jammed. “Osam” has an overall length of 34 m with a beam of 9.5 m and a draft of 1.25 m. The vessel is able to sail with a speed of 23 km/h. 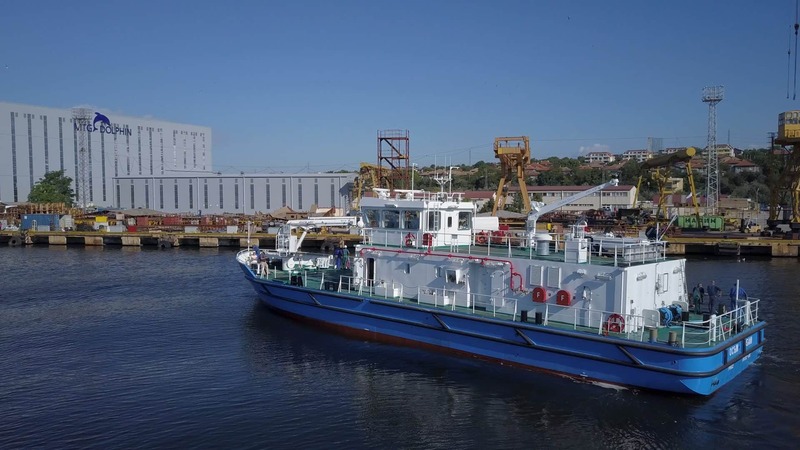 This is the second ship delivered by MTG Dolphin to the Agency under the FAIRway Danube project, after in January 2018 the shipyard finalized a cutter for hydrographic measurement, already collecting high-quality data about the changes occurring in critical sections of the river, thus supporting decisions related to river engineering, rehabilitation and maintenance of the waterway. Previously, in February 2017 MTG Dolphin also supplied a hydrographic research catamaran to the Agency.